At first glance her shop appears to be a bit cluttered and “old fashioned” looking, but a closer look reveals that there is more here than first meets the eye. Edie and I joked during our visit that she is going for the “We’ve been in business for a hundred years look”. Did I mention that her business has Charm! Edie’s mom, Lois drops in during our visit and heads upstairs to a tight little office above the work room to do the books – a vintage tin ceiling is just inches above her head. The 100 year old building demands that you get creative with space! Below her is the workshop with an early Eclipse computerized mat cutter. 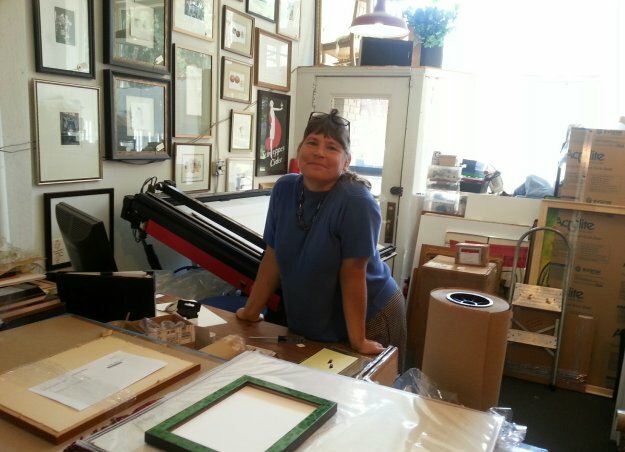 Edie obviously embraces not only the old charm of a framing business but at the same time new technology and change when it makes her better at what she does. 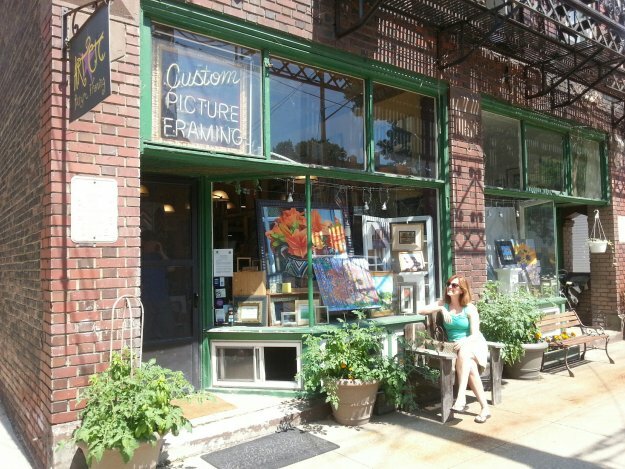 Edith Antl of Art Etc, in Cleveland, Ohio – She has framed art displayed everywhere in her shop! She attributes her longevity and success to being an early adopter – by having a website that is positioned well on the Internet as well as obtaining excellent business reviews online. Indeed this all definitely helps but after looking at her business personally, I can also see that her many years of experience is reflected in the shop’s excellent framed art on display. An array of fine artwork can be found in every corner of her business, most framed with clean wide margins, fabric mats or detailed french matting. Experience along with passion can be a powerful combination. This classic framer has indeed survived the past seven years of the Great Recession, and will be around for years to come.